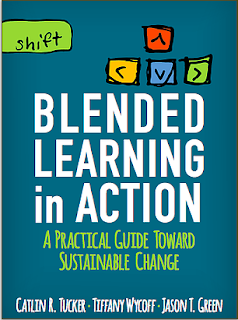 Teach on the Edge: #BLinAction Virtual Book Club - Join Us! #BLinAction Virtual Book Club - Join Us! 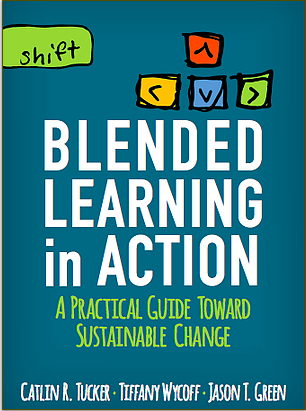 After just two months, we have over 2200 readers engaged in Blended Learning in Action! We are excited to announce the start of our #BLinAction book club discussions to help our many readers stay connected and share ideas about each chapter. We’ll take a deep dive into one chapter per week starting this Sunday, December 4th. The book chats will run “slowchat” style with one thought and one question posted per day throughout the week. We hope you’ll join us in these discussions by following #BLinAction and contributing your thoughts. We will be sharing the conversation on our website blinaction.com. Thank you for reading and for contributing to this awesome thought cloud around Blended Learning in Action! It is really awesome article and congratulation for 2200 readers in very short time. All learners who have spend some time for their best career in short time so the the prior learning assessment help you to gain degree that will impact your career positively.